Everybody seems to be talking about Ashley Madison, the hook-up site for folks who are intrigued with the idea of having an affair. Some people who visit this site may only be looking for a fantasy affair, while others are hoping for a true illicit affair with another person. Recently a group of computer hackers obtained personal information about Ashley Madison users which was later published on the internet. This information included names, email and home addresses, amount spent, and other personal information. You may have been personally touched by this release of information. Maybe you have a friend, someone you know at work or in your church who has had their lives upended by finding out their names were one of the approximately 37 million others released that day. Perhaps you yourself are on that list. 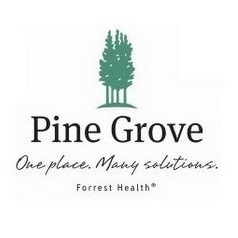 Many people turn to Pine Grove for answers when traumatic events crop up in their lives. You probably have questions about how to proceed if your name was one on the list. What if your own partner has now been exposed to the world, and more importantly to you, as a possible cheater? How do you talk to a family member, friend, or colleague who now must move forward with their lives? These are not easy questions to answer. Last week I got a text message from someone telling me that a friend, whose name had come out on the list, had committed suicide. This morning another person whose name was on the list, a pastor of a church, was reported by CNN as having committed suicide as well. These and other events motivated me to write this blog. First of all, having your name or the name of a loved one listed by Ashley Madison is not the end of the world. This is particularly hard to believe when the action of visiting a site where people are looking for someone with whom to have a affair is so contrary to your own values. Often the shame of exposure seems too much to bear. Please remember, even if your name is on the list and you may have made some big mistakes, nothing you have done is unforgivable or worth losing your life over. Nothing you have done will prove to be as hard for your family to deal with as losing you would be. Families, friends and coworkers need to know what to look for when suicide is a possibility. These warning signs may include extremely depressed mood, expressions of humiliation connected with the exposure, and intense anxiety. Things the suicidal individual may talk about could include loss of a reason to live, feeling unbearable emotional pain, and thinking others would be better off with out them. He or she may mention specifically that they are thinking of killing themselves. People who are considering committing suicide may make a point of contacting or visiting those who have been important to them in their lives and may offer to give these people belongings that have held meaning to them. Often they will begin to withdraw from daily life and choose to sleep more than usual. Alternately, you may notice a marked pattern of sleeping less, using alcohol or drugs and other acts of recklessness. If you are going through exposure due to your name or the name of a loved one having been published on the Ashley Madison list or if you just have questions, visit www.pinegrovetreatment.com or call 1-888-574-HOPE (4673) for more information.